It all began with Joe Karthein’s vision: he wanted Canadians to experience sauerkraut at the height of its form—perfected. In 1999, he began producing Karthein’s Organic Unpasteurized Sauerkraut on his small organic farm in the West Kootenay region of British Columbia. Within a few years, Karthein already had a strong following, and his devotees were increasing in number as more organic stores, local co-ops and people from the region clamoured to get his product. Through his efforts, more and more Canadians were learning about the health benefits, as well as the unique and deep flavour profile of the sauerkraut. But the creative among us are never satisfied, and so even though his product was already excellent, Karthein decided to perfect his recipe further. How? After careful consideration, Karthein realized that the quality of his product depended wholly on the quality of the cabbage used. In his quest for the most outstanding cabbage in Canada, he met Martin Béland, founder of Béland Organic Foods. 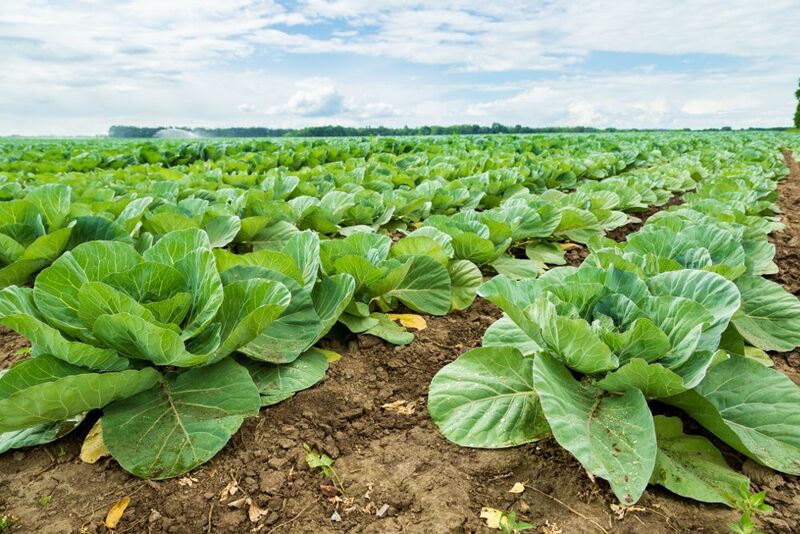 Through this connection, Karthein found a supplier of top-quality green organic cabbage—all the way from Quebec! This is because the Gaspésie region of Quebec is uniquely suited to the growing of this beloved vegetable. After many years of working with Béland, Karthein moved onto different ventures, and Béland bought the Karthein brand. Béland was committed to making sure the quality of the sauerkraut we have all come to know and love remained intact and even better. The same passion for taste, freshness and good health still shines through every step of the process. UNPASTEURIZED ORGANIC SAUERKRAUT IS GOOD FOR YOUR GUT! Because health is one of the keystones of the Karthein’s sauerkraut philosophy, it naturally follows the principle that every bite of this kraut does the body good. But how? This strict recipe and process encourages the proliferation of lactobacillus, a probiotic microorganism that is beneficial to the flora in your gut, akin to the beneficial bacteria that can be found in other fermented superfoods such as yogurt and kefir. An ancient practice, fermentation has been keeping humans and their microflora happy for over 6,000 years (that we know of!). Left untreated, kraut delivers a staggering range of health benefits: the bacteria populate your gut, aiding in good digestion, proper nutrient extraction of the foods you eat, and more. Pioneering neuroscience is even calling the gut the “second brain”, as new research suggests that gut health may directly influence our neurological health and could even play a role in the regulation of depression and anxiety. A VARIETY OF SAUERKRAUTS THAT ARE SIMPLY DELISH! A passion for taste means constantly developing new flavours and expanding the Karthein line every year. You can now enjoy a variety of sauerkraut varieties including our Traditional recipe, Simple recipe, Beets and Ginger, Carrot and Ginger, as well as spicy Kimchi, which was inspired by a traditional Korean recipe. Karthein’s owes its popularity to its crunchy texture, freshness, natural tang, as well as to the way the vegetables are cut, maximizing the pleasing texture of the kraut. And not to mention, the top quality of the cabbage—it’s almost as if you can taste the wide open skies of Gaspésie! You can easily use sauerkraut in many recipes. Here are a few that will make your mouth water and keep you coming back for more! …. …pssstt… many aficionados get quite hooked and will just eat it straight out of the jar…. You can find Karthein’s Organic Sauerkraut in many health food stores, supermarkets and chains such as Whole Foods Market, Loblaws, Sobeys, the Real Canadian Superstore, as well as independent stores, and more. To find out where to buy this sought-after product, click here. Béland Organic Foods is committed to minimizing its carbon footprint as much as possible. To this end, it purchases carbon credits from the Carbon Boreal Research program in order to plant trees. This will offset the kilometres travelled from production to delivery points all across Canada. So far, over 1271 trees have been planted in the forests of Quebec! Béland hopes to serve as an inspiration to other companies, setting an example of what it means to be carbon neutral. Karthein’s is also certified Organic by Ecocert Canada.